Reserved until July 9 ? 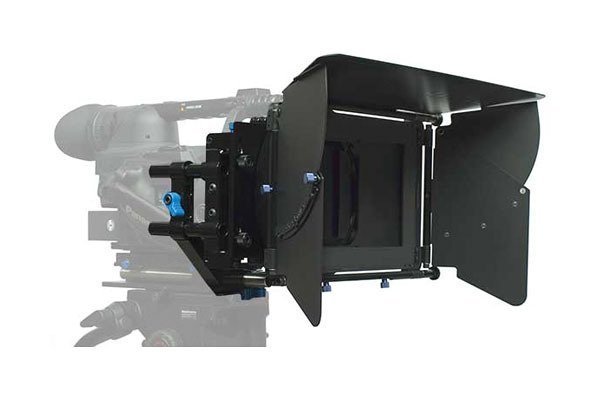 The Redrock Micro microMatteBox is a universal matte box system that accommodates nearly any lens size and 15mm-based rig setup. With its convenient swing-away design, this cinema-grade lens attachment allows the use of 4x5.65" professional filters that can rotate 360° or be easily swapped out for different looks. Light spillage and lens flare are controlled by a top flag and a pair of side wings that can be easily locked, adjusted, or simply removed. This versatile matte box pairs well with the Redrock Micro eyeSpy Deluxe DSLR Bundle and the Redrock Micro "Captain Stubling" DSLR Bundle. It fits almost any 15mm rod/rail system (rods and rig rentable separately) and comes with 4 neoprene donuts that fit lenses of varying diameters (51mm, 64mm, 76mm, and 102mm), making this a great choice for shooters using a variety of different-sized lenses instead of a standard cinema lens set. 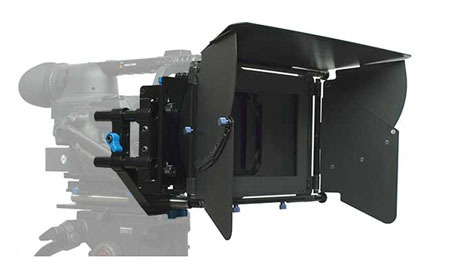 The native diameter of this matte box is 140mm with the lens connector and 155mm without it. The Redrock Micro microMatteBox is ideal for run-and-gun style shooting, documentaries, and travel projects.